Why was there so much damage throughout the Twin Cities? While many environmental factors go into a thunderstorm a few characteristics contributed to the intense rainfall and strong winds as a result of the June 21, 2013 event. 1. An Unstable Atmosphere: The atmosphere was unstable which enhanced stronger winds along the surface rather than higher up in the atmosphere resulting in the widespread damaging wind seen throughout the Twin Cities. 2. Saturated Soil & Heavy Rains: Previous heavy rainfall over the last few months in the area had soil throughout the Twin Cities saturated which allowed for trees to be uprooted more easily as well as urban flooding to occur as there were not many places for the water to go as it fell leaving low lying and/or poorly drained roads vulnerable during the downpour. 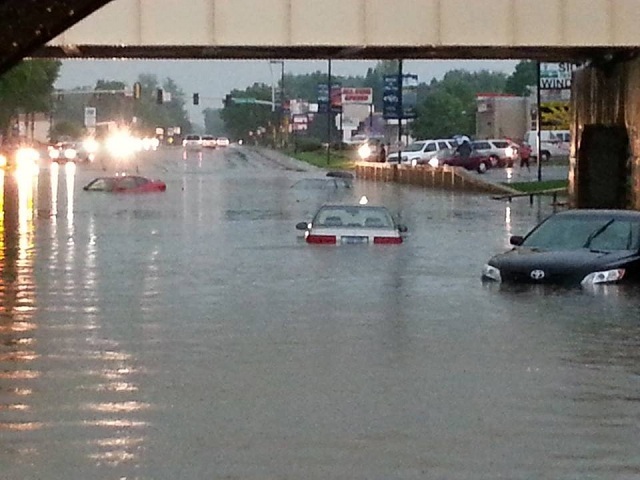 Some area reported two inches of rainfall and had many reports of flash flooding nearby. 3. Radar Loop: The conditions together converged over the Twin Cities (Note: Click the image to see the radar loop in action). Why Didn’t the Sirens Sound? 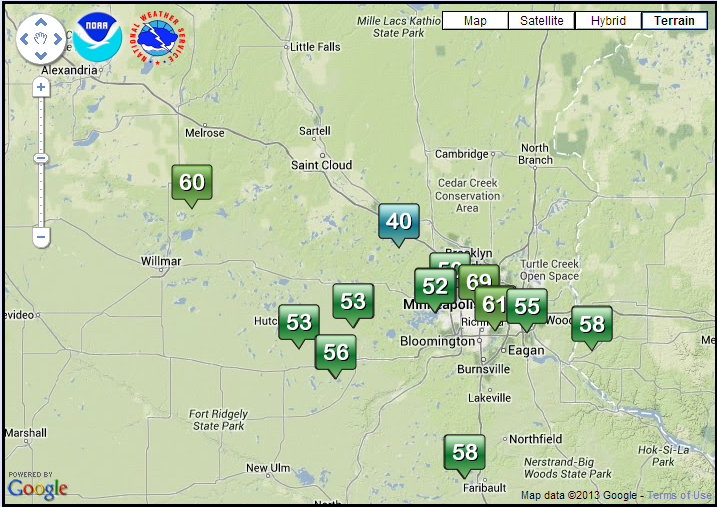 In Hennepin County sirens sound for winds in excess of 70 mph. While winds were close to the barrier in Hennepin County they did not exceed 70 mph and the sirens did not sound accordingly. I am curious to see if the policy changes based upon the damage and the widespread downed power lines throughout the Twin Cities metro area on June 21st. Just how much damage was there? In the National Weather Service-Twin Cities report there were so many reports provided that not all of the reports could be shown. 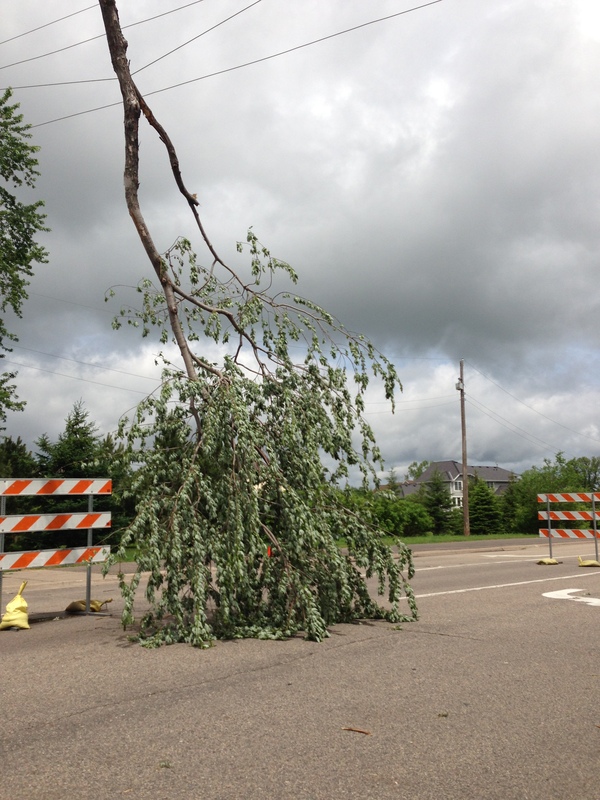 A similar storm came into the area the following evening and caused similar damage throughout the Twin Cities area for a second evening. 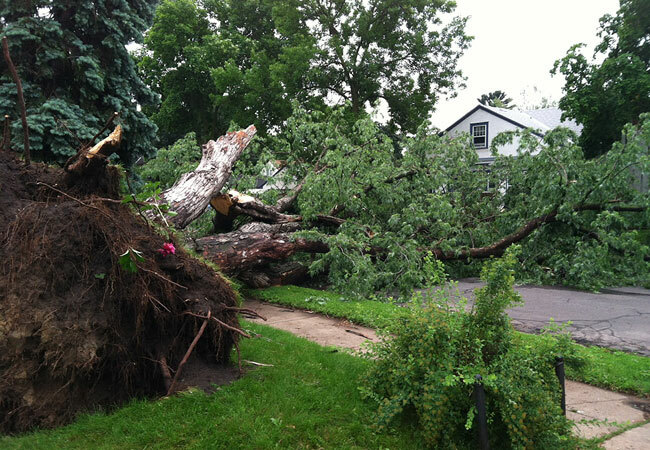 Across the Twin Cities over 97,000 residents did not have power as a result of the severe weather event. Xcel Energy had the power grid completely restored by 10:00pm the following Wednesday, five days after the storm rolled through the area. Xcel Energy said they had to replace over 100 poles and 37 miles of utility wire throughout the restoration process. What is in store for future events? I foresee many changes in the warning program, coordination efforts as well as the public and private relationships in future events from the severe weather event last month. The Twin Cities haven’t seen such a widespread event since the derecho events in 1998 effecting much of the state. While events like the one seen on June 21st are devastating and costly they prove to be beneficial for future events that may have even more costs or disastrous effects. Sinkholes, Meteorites and Tornadoes – Oh My! One of the latest talking points in the United States are sinkholes as a result of the sinkhole incidents in Seffner, Florida last week and Monday. Sinkholes can be formed in many locations throughout the United States frequently linked to karst topography (Figure 1). Sinkholes often take thousands of years to form and can vary in size depending upon the localized conditions. They occur when a layer of rock underneath the ground is dissolved by acidic water (Figure 2). The hole/depression reappears after being filled. 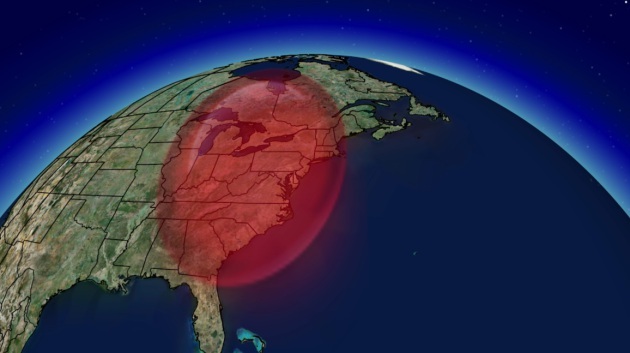 Just as the meteorite incident in Russia late last month or tornadoes in the spring and summer seasons have sparked human interest, sinkholes have recently entered the radar of many Americans and people around the globe. But it is important to remember that no matter where we live hazards will as well. 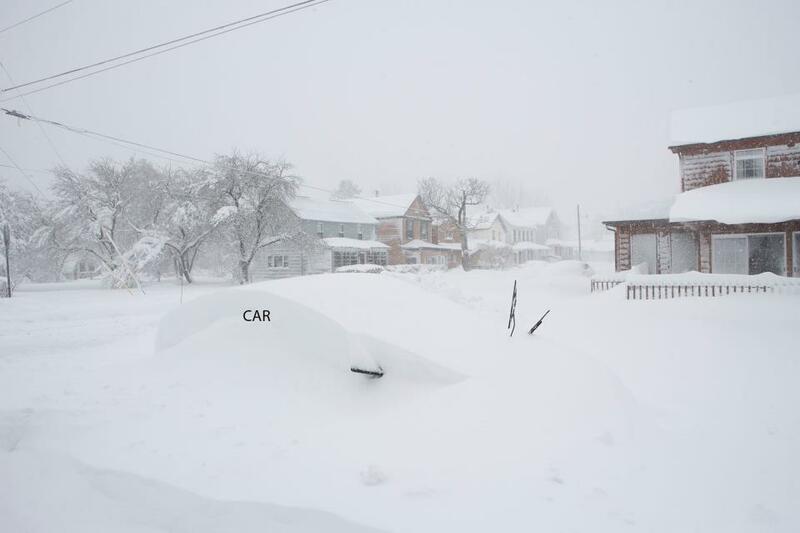 Whether we reside in California where faults, tsunamis and landslides are the main hazards or we live in Minnesota where tornadoes and blizzards are the main threats. We cannot simply move to an area and expect it to be safe nor can we expect complete devastation. We must understand and educate on the risks in our local area we reside in and prepare ourselves and our families. While we cannot always predict or prevent a disaster from occurring we can respond more effectively if we are educated and prepared of the risks to the community. Posted on March 5, 2013 Categories Emergency Management, GISTags education, hazards, karst, map, preparedness, sinkhole, topographyLeave a comment on Sinkholes, Meteorites and Tornadoes – Oh My! 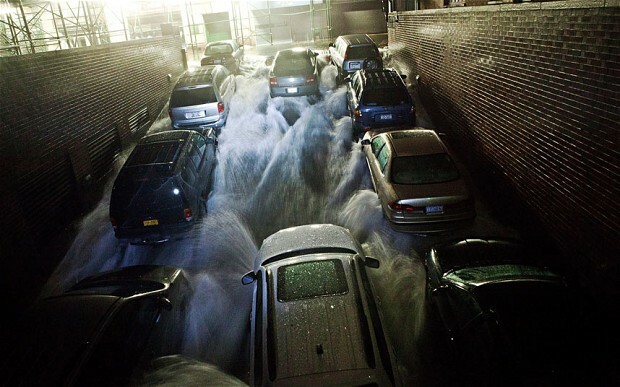 I wanted to write a post to address those effected by Hurricane Sandy. My thoughts and deepest sympathies are with those effected and I hope the recovery efforts and the rebuild of the damaged communities goes well. 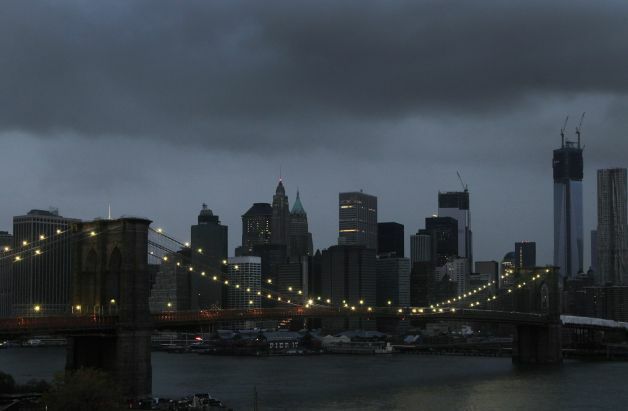 No disaster is pleasant and Hurricane Sandy has definitely left its mark on parts the east coast with over 8 million without power, at least 35 confirmed fatalities and subway systems shut down for what appears to be the remainder of the week. 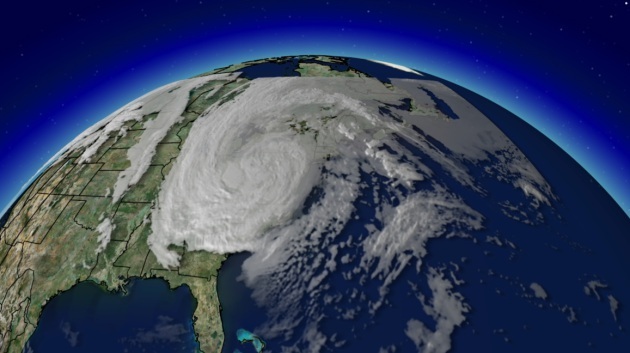 As Sandy approached shore on Tuesday, the cloud shield stretched from the Hudson Bay south to the Gulf Coast states. 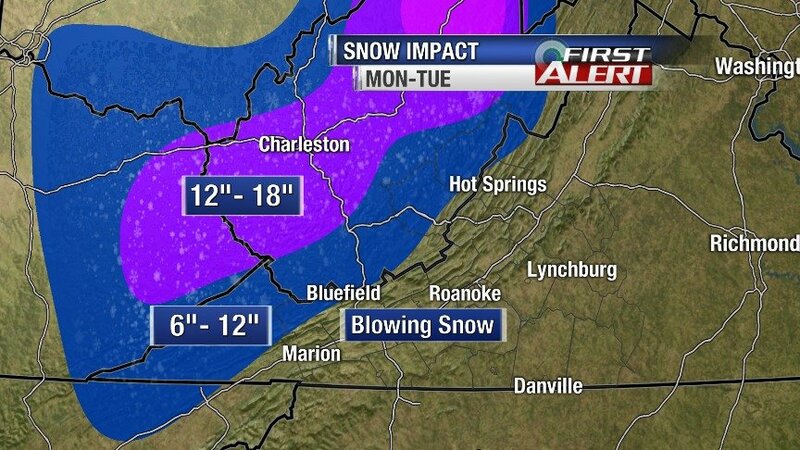 Let us not forget West Virginia where snowfall accumulations reached nearly two feet. Day after day GIS staff are known for making maps. 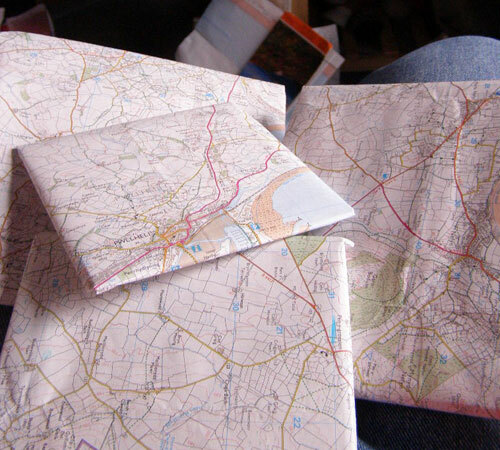 Many times we are asked to make a paper map, even during a time when electronic maps can change dynamically daily. Why? Why do we still print e-mails, PDF’s, Word documents, or Excel spreadsheets? Sometimes a paper copy is the best way to disseminate the information at stake. Most days, we stare at our computer screens more than we interact with each other. I know when I attend the ESRI User Conference one of the main events I look forward to most is the map gallery. I can see artistry at work – and yes, critique the thousands of maps freely available to me. But each has its story and the cartographer gets to tell that story to their best ability with a piece of parchment. While the automation process of maps is efficient most days, sometimes a paper map tells a story electronics cannot.